All students must register each calendar year. Registration is $40 for individuals and $60 for families. 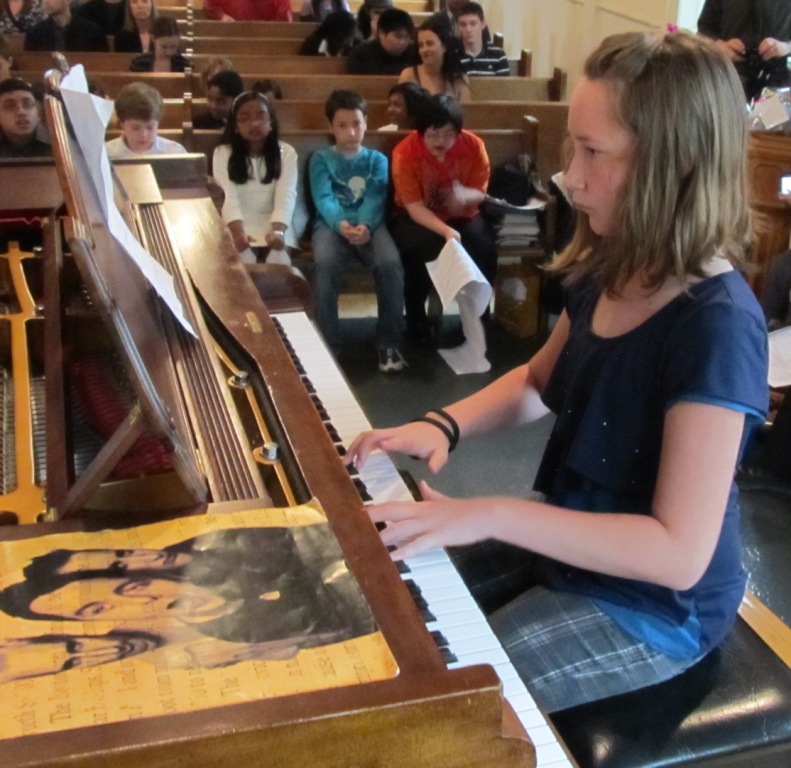 Class handouts are included and students get free entry to perform in our recitals. 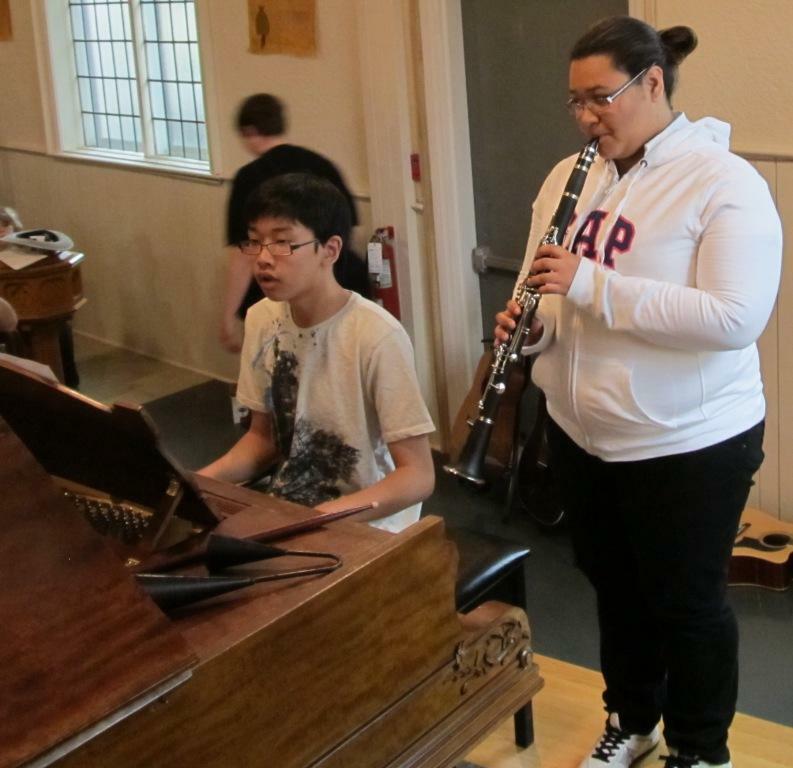 Some of our students are interested in recreational music-making and others go on to be musicians, educators or work in the music business. 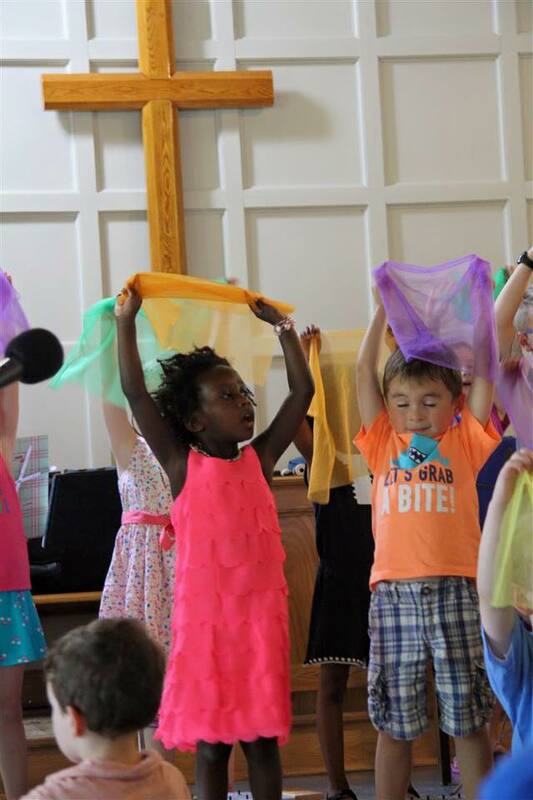 Music Programs on the go for all ages! 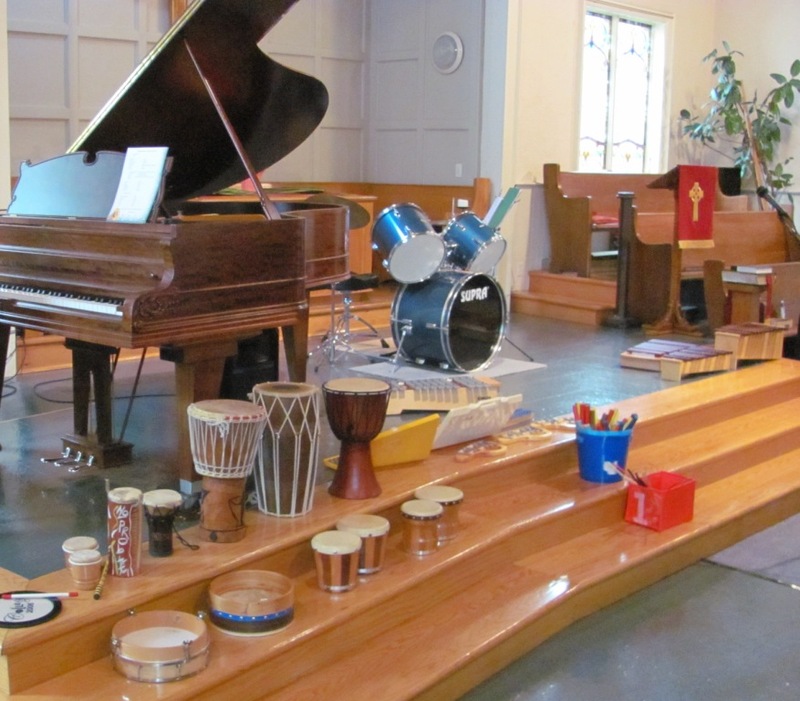 Lisa also offers Orff Music for Children Programs at Libraries, Community Centres, Long term care facilities, Variety Village and Birthday Parties. Contact lisa@lmjmusic.com Please include age group, possible location, and preferred dates and times. Sunday February 25th, at the Grinder on Main. 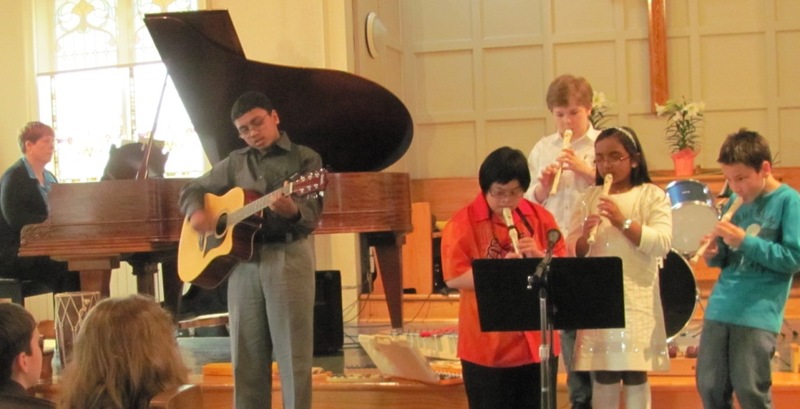 Five students performing five pieces. 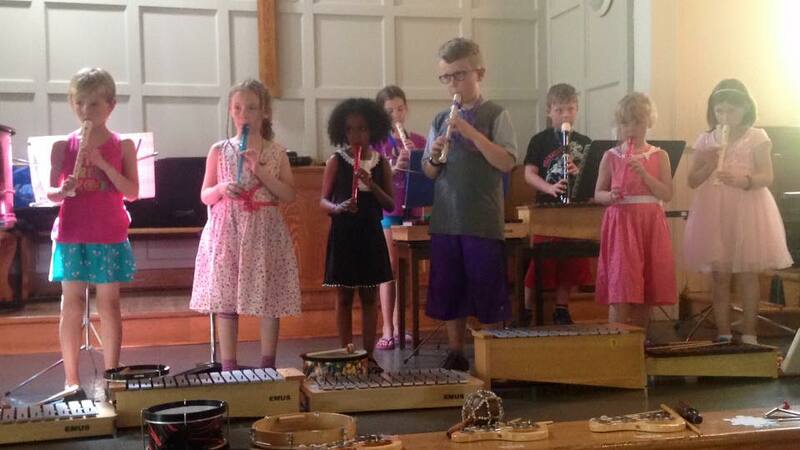 Students will improvise on percussion instruments, xylophones and piano. 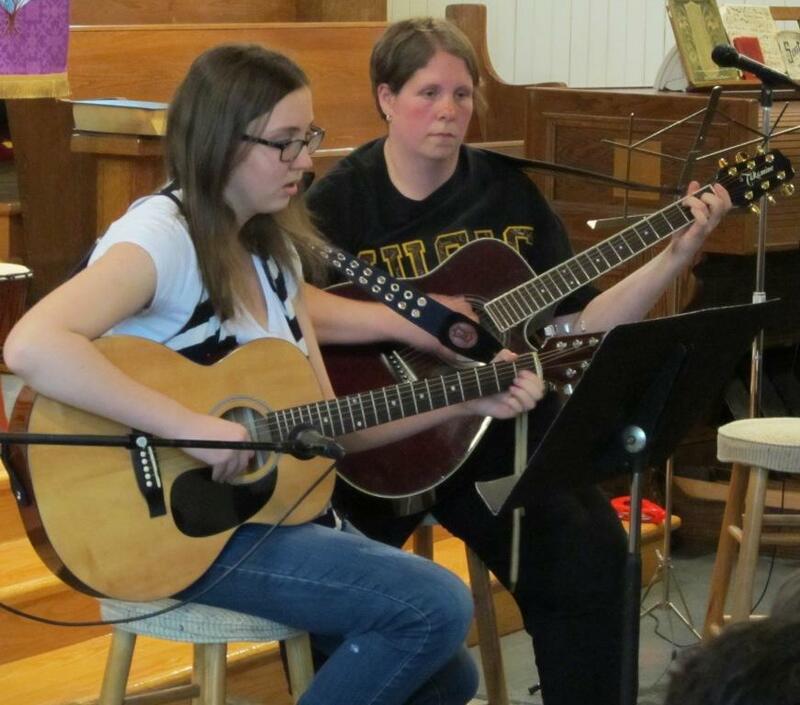 Student Concert Sunday May 27th at The Beach House Bar and Grill. 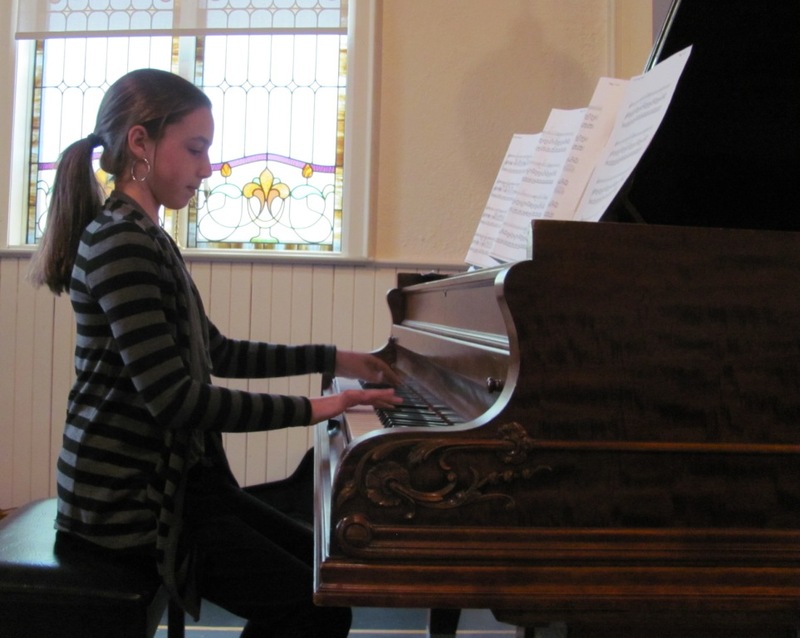 Forget everything you know about Recitals. This is a Celebration! Watch our students perform live while enjoying food and drinks. This is an event for ALL friends and family of our LMJ Music students. 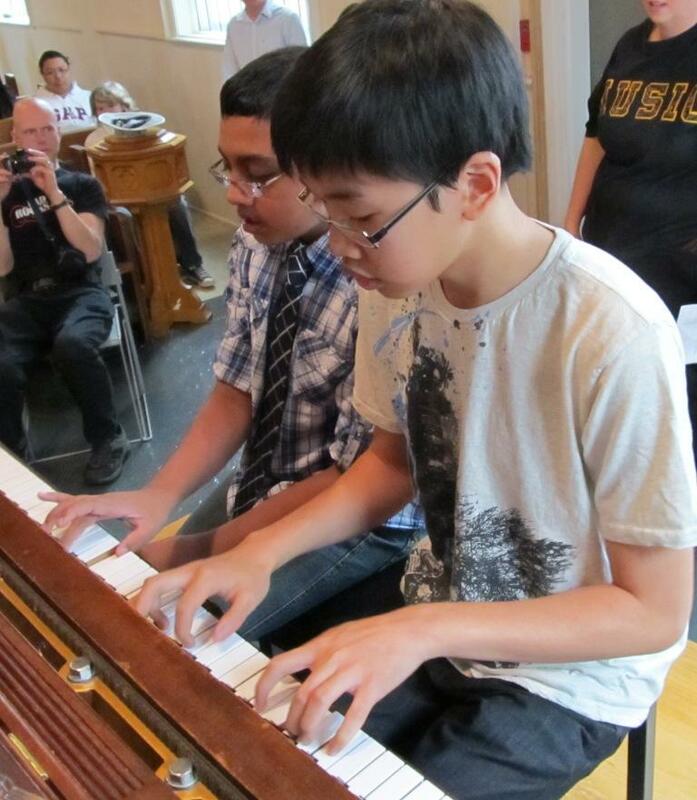 Students prepared for Royal Conservatory of Music Practical Piano Exams Level 2, June 11, 2018. 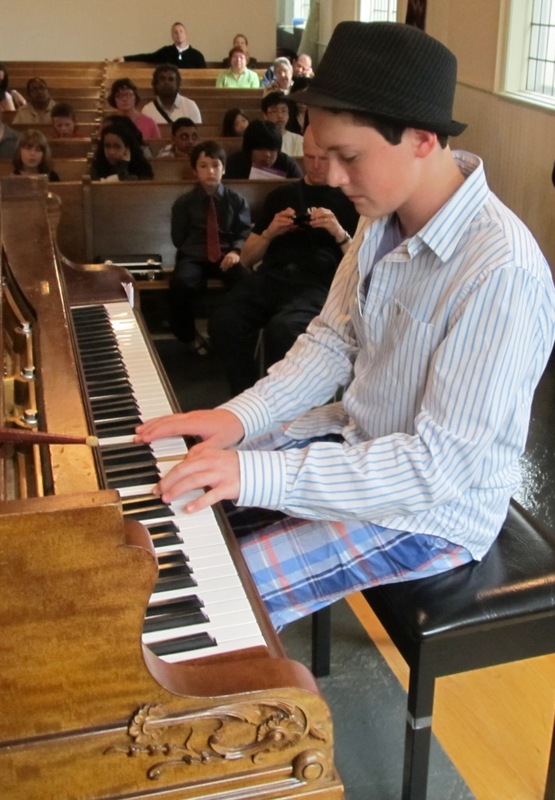 Congratulations to Adam for achieving First Class Honours with distinction on his Prep A Practical RCM Piano Exam! 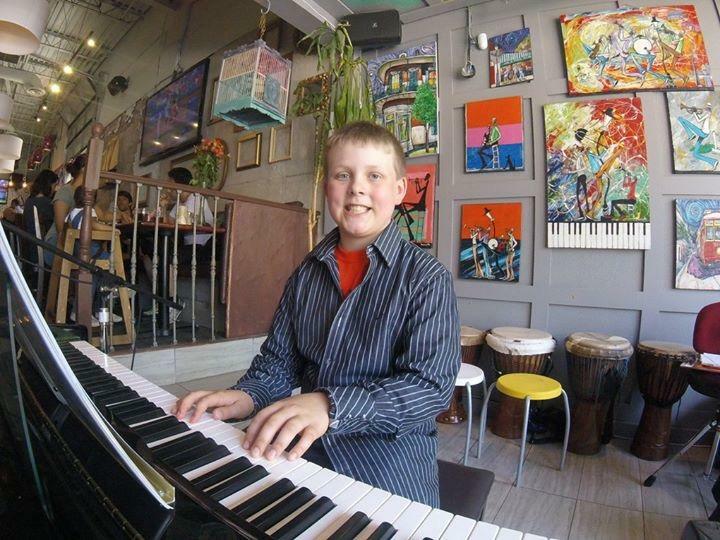 Piano Recital April 23 Solos and Duets! 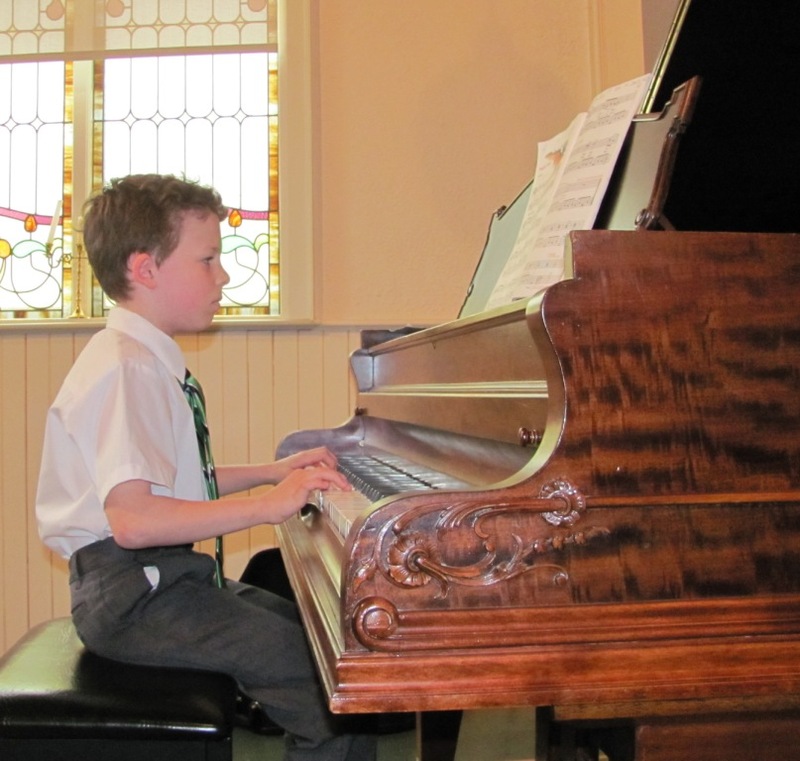 Congratulations to Nathan for achieving First Class Honours on his Prep A Practical RCM Piano Exam! 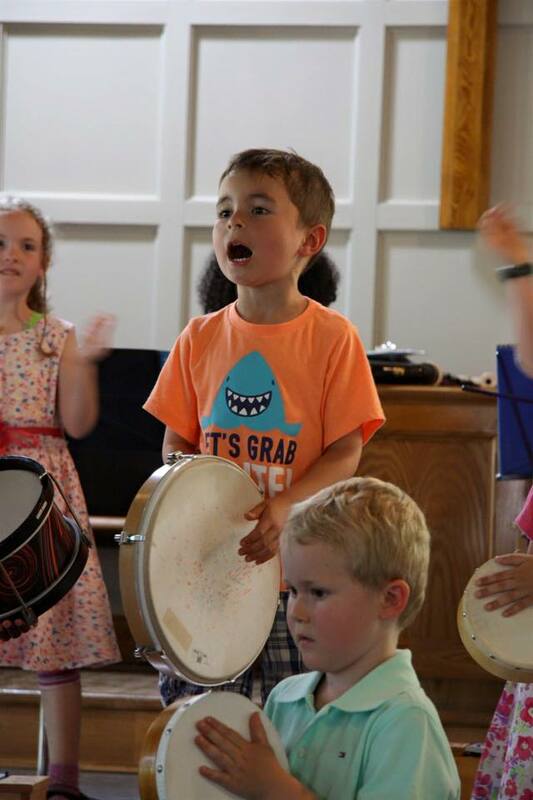 Working on our Beat and Rhythm skills - Djembe Drummers! 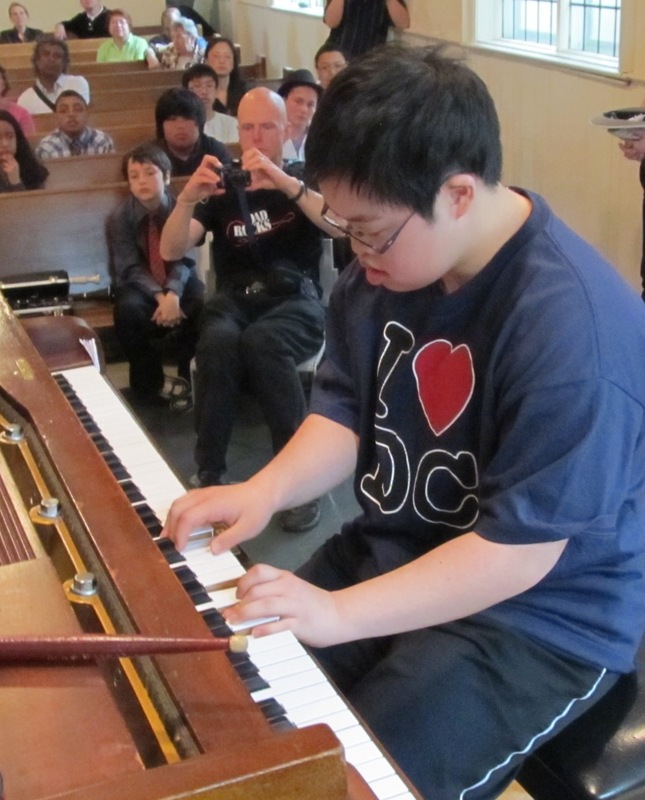 Congratulations to David Park for achieving First Class Honours with Disctinction on his Advanced RCM Theory Exam!!! 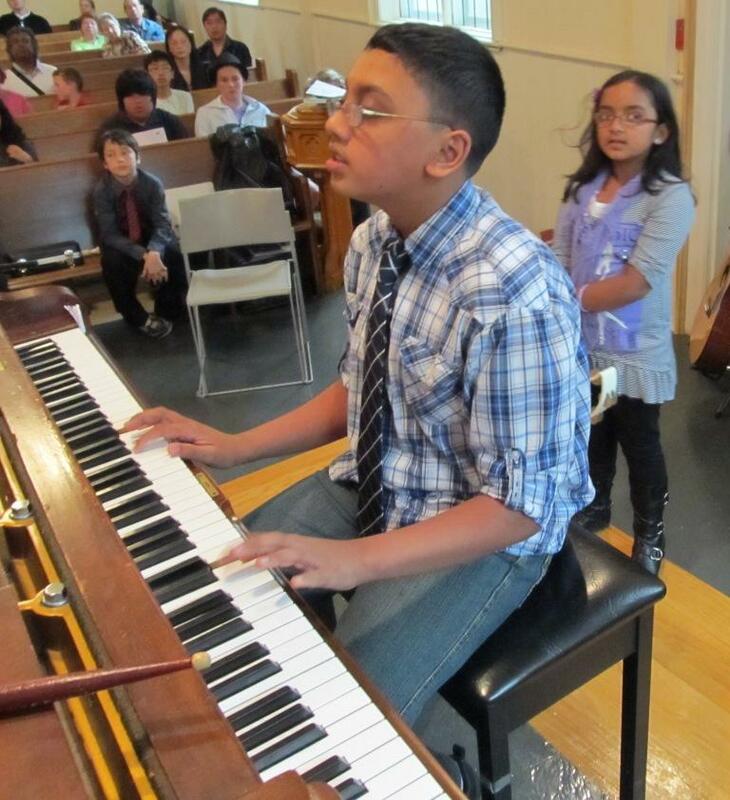 Congratulations to Kayin and Alanna for completeing Level 1A of Alfred's Basic Piano Library!!! 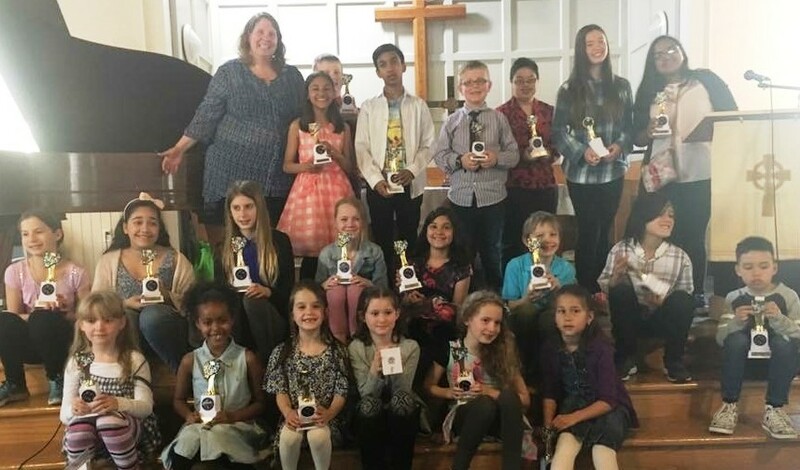 Congratulations to everyone who participated in our Spring Recital! And hoops, scarves and balls. All used to develop and explore the connections of Time, Space and Energy. 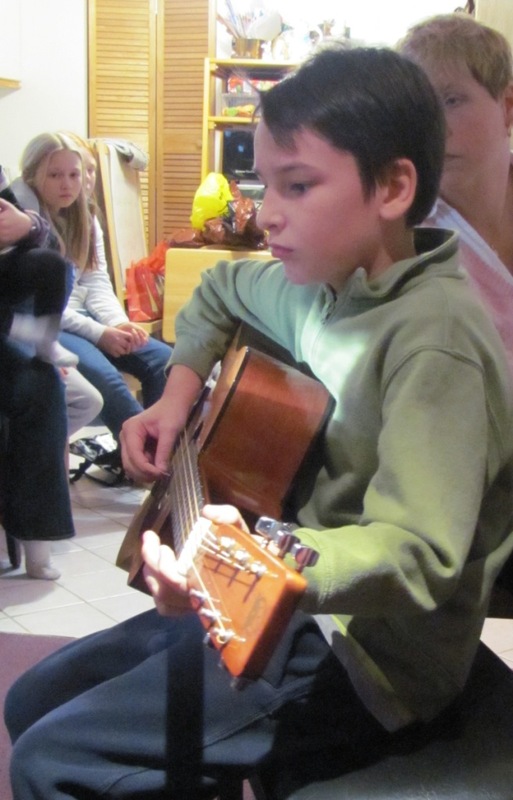 Improving the development of basic musicianship skills - beat, memory in time, focus, concentration, phrasing, sequencing, intention and preparation. Presenting with an internalized relationship between fine and gross motor skills, and important associations among gesture, articulation and rhythm. Feeling, Moving and Seeing. 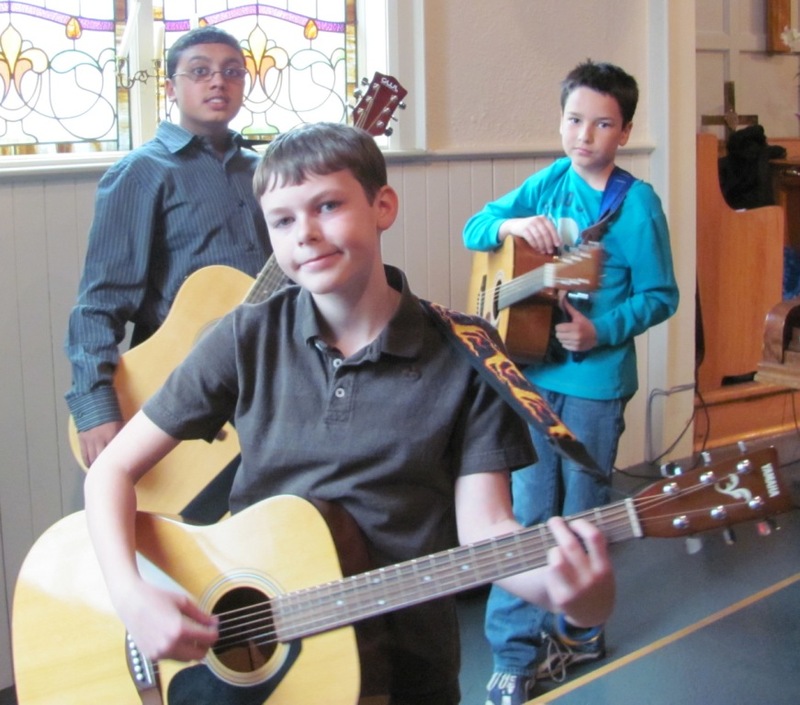 Experiencing and exploring music in the whole body provides a fun and fundamental ability needed in all musicians. 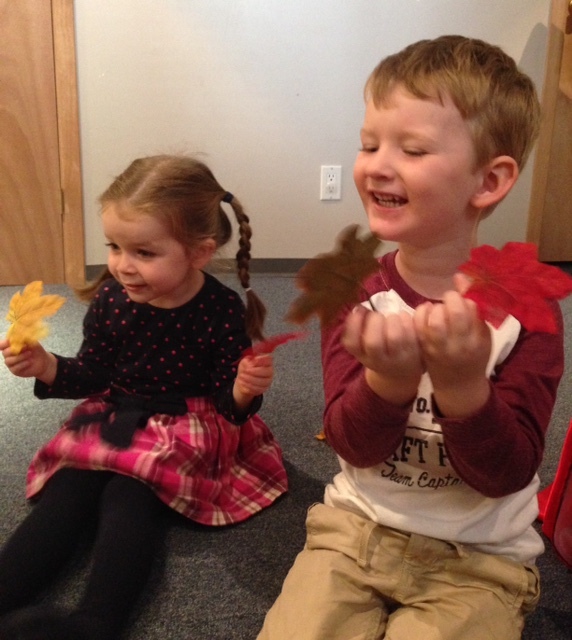 This month our Orff classes learn some Valentine�s day songs. We continued to work on keeping the beat, clapping rhythms and have been working on identifying pitch as high and low, and on the staff. Some pictures below show our Carpet Staff. Amazing what a little masking tape can do! 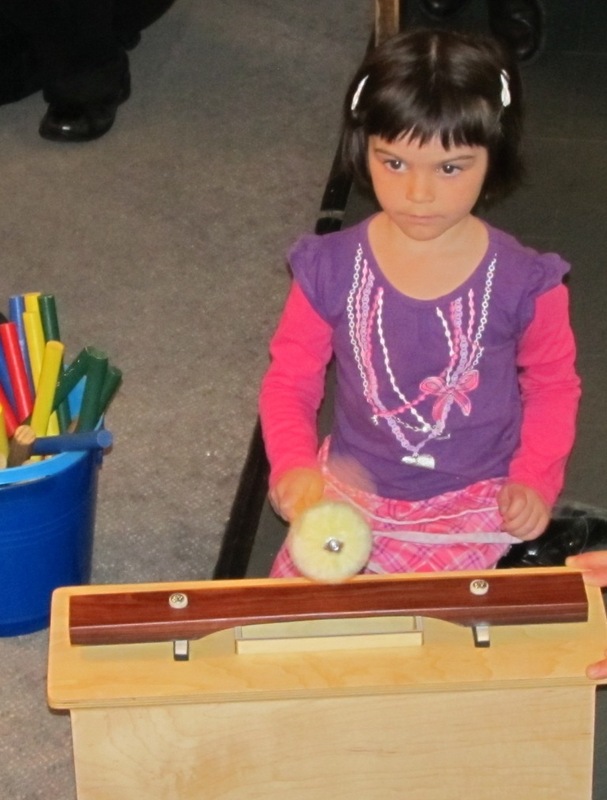 Musical Notation in our Orff classes ages 4-8! Improvisation is so very important! So much is learned from exploring the instruments. On our barred instruments I remove some of the notes so that a 5-note Pentatonic scale is produced. In doing so, everything that is played is consonant. No dissonant sounds can be produced. This creates a positive and confident building experience. On a piano, the same effect is produced by playing on the Black Keys only! 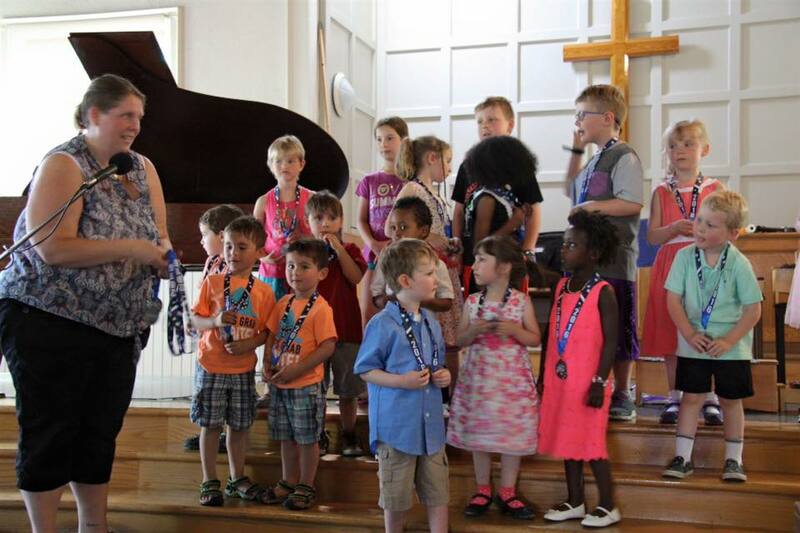 Parents can join in by playing a simple ostinato (constantly repeated pattern) of any two notes at the lower end of the piano, while their children improvise a melody over top. And Vice Versa of course! Making-music together is so much fun! We are having fun with music of the Season, while working on keeping a beat, clapping rhythms, AABA Form, and Pentatonic Melodies. 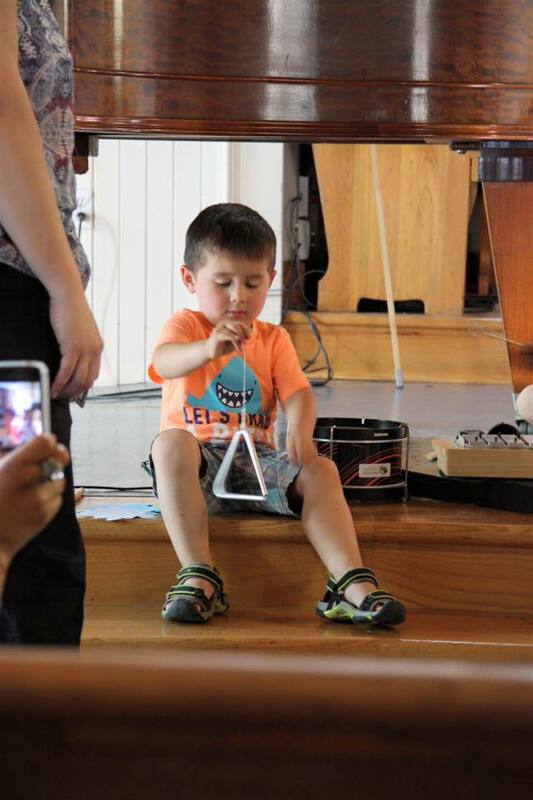 Involving people of all ages in music making is something that I am passionate about. I have experienced the social, emotional, and academic benefits that making music brings and I want to share this with everyone! 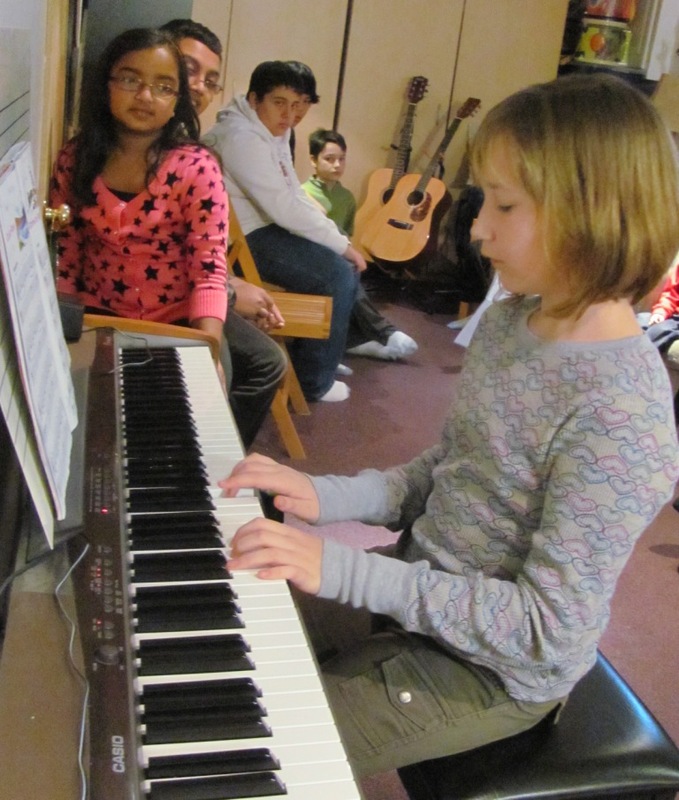 Learning music is an ongoing process. 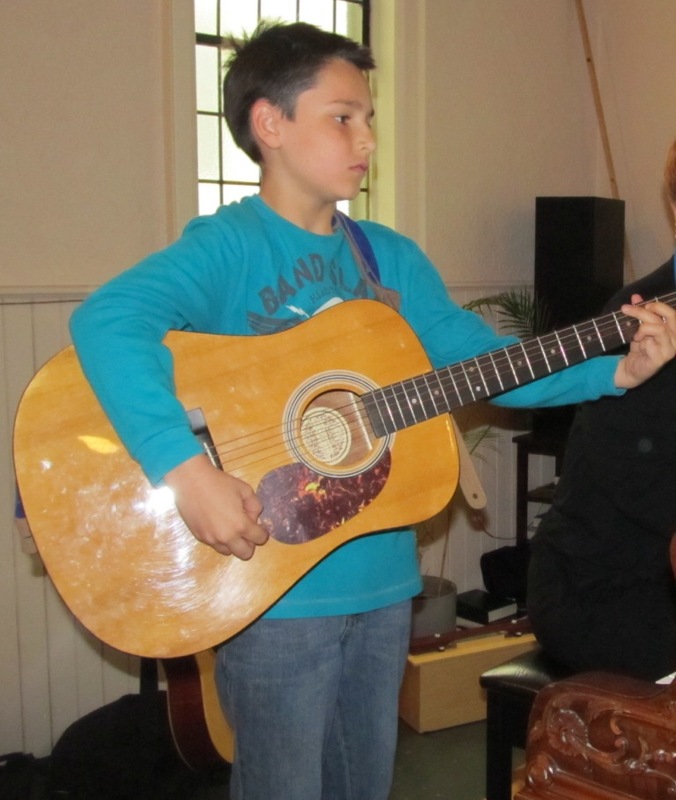 One might have certain goals such as to be able to play a particular song or play at a certain level, and achieving those goals brings confidence and self-esteem. However, we do not always see or hear the ongoing and subtle achievements happening on the weekly or monthly basis. The process of getting there can also be fun and satisfying and sometimes we should not be so caught up in the final product, but what we have learned and experienced along the way. 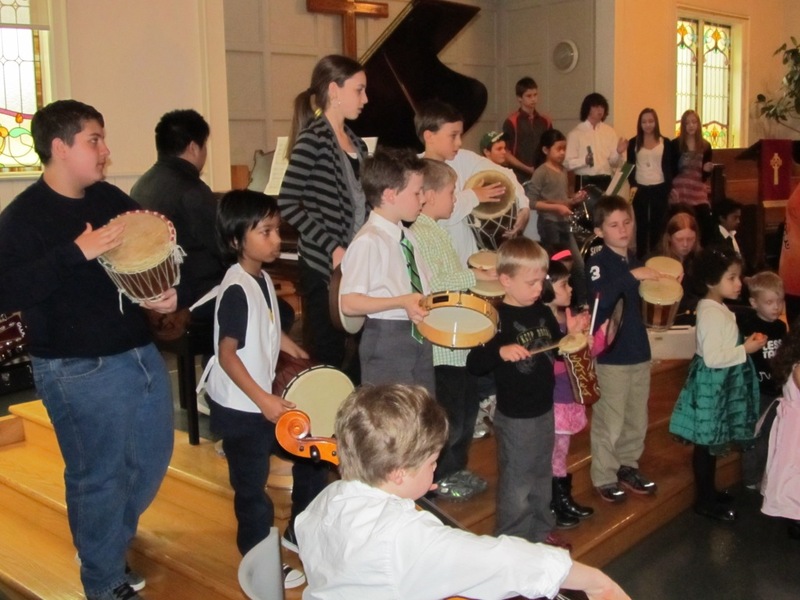 For example, in our Orff classes, as the children become older, they also grow together musically with their group. 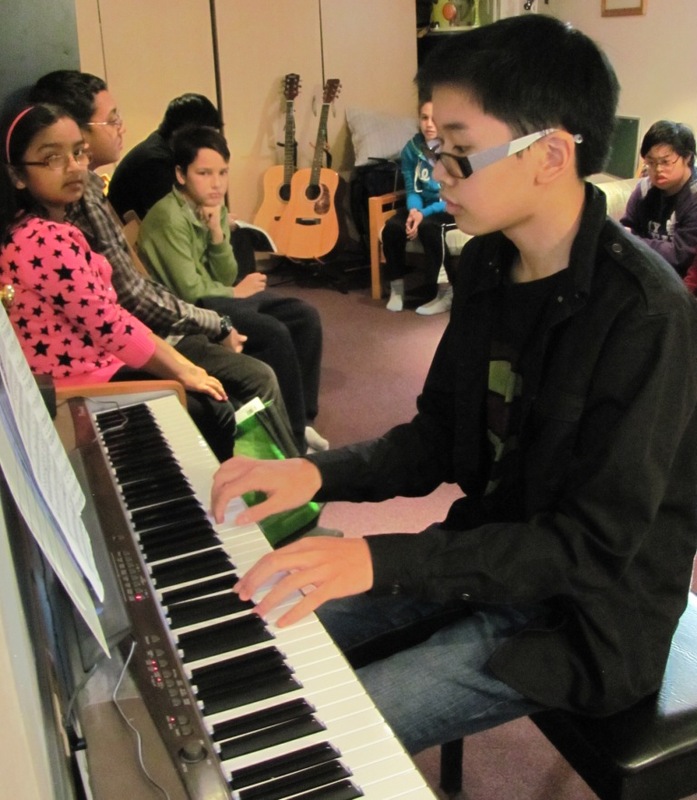 Skills are constantly improving and students continue to build on musical knowledge such as more complicated rhythms, songs with additional pitches in the melody, harmony, and notation. 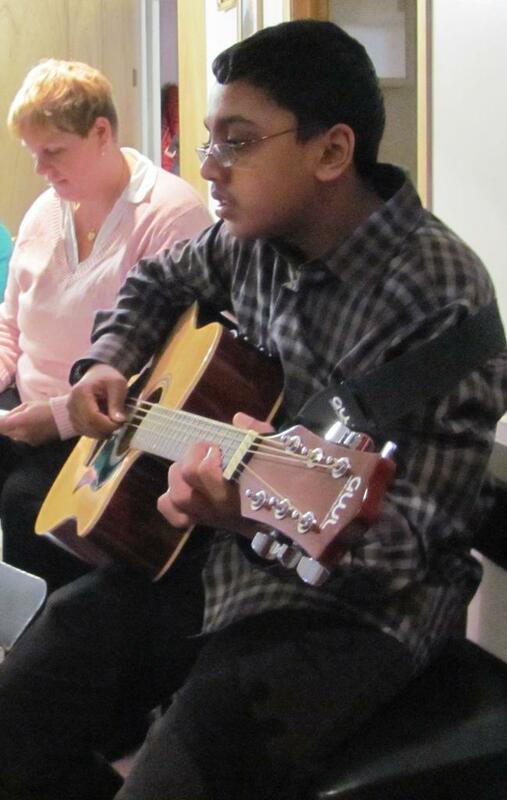 It is wonderful when I get to experience students who grow together musically, physically and socially! 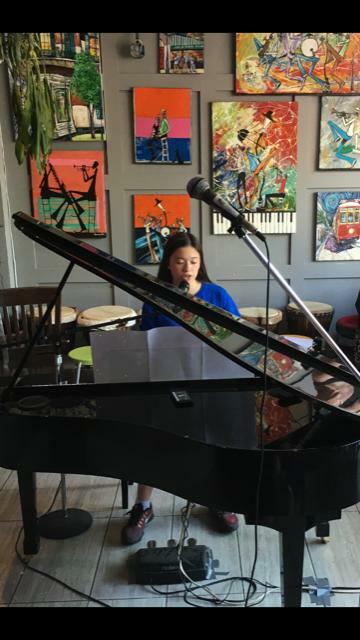 In over 20 years of teaching music I can say that students go through peaks and valleys in terms of their motivation on the piano or learning any musical instrument. 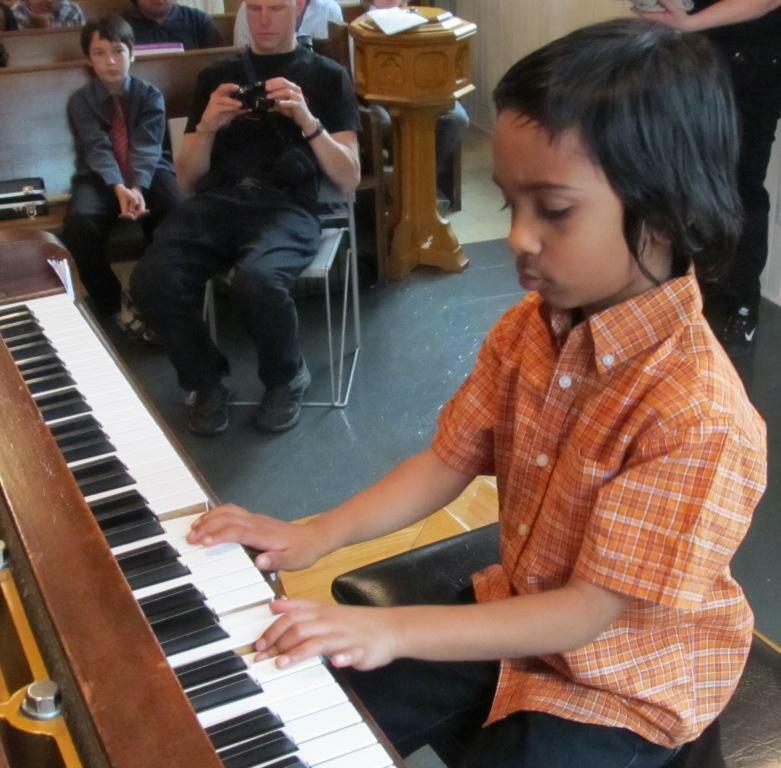 Learning an instrument and music requires long-term commitment. It�s not an activity that is short-term, where you gain easily-learned skills and then move on. It involves months and years of music making and �hard work� to get results. It is easy to quit because it is easy to not have to put work into something. 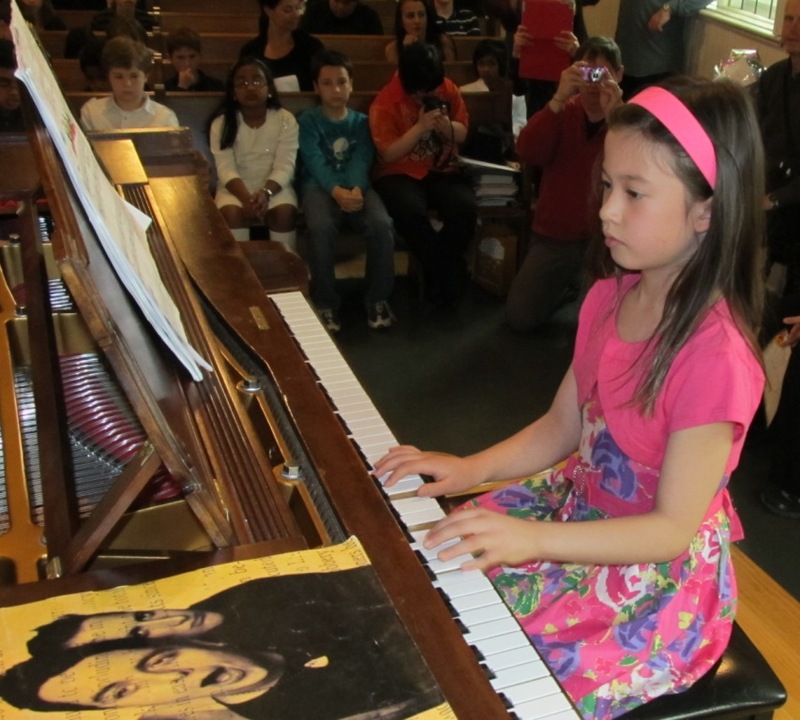 It is almost impossible to think long-term about how one may want to make music later in life. 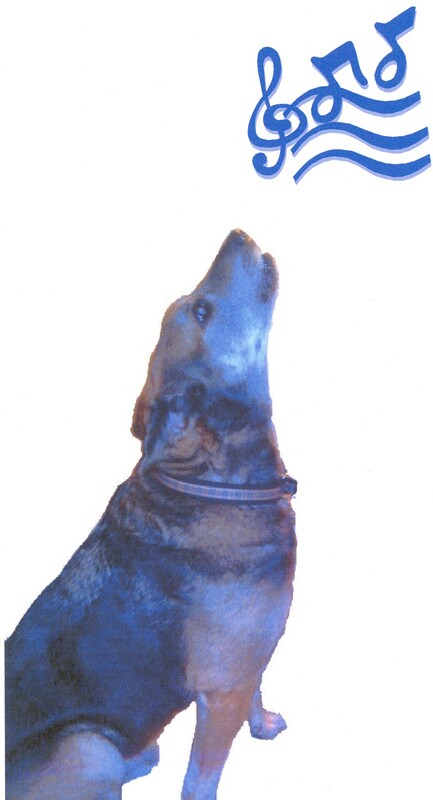 It can be difficult to decipher what it is that is causing the �valley� in motivation at that time. Sometimes students can be burnt out because of school and other activities. It might have nothing to do with the lessons or instrument itself. 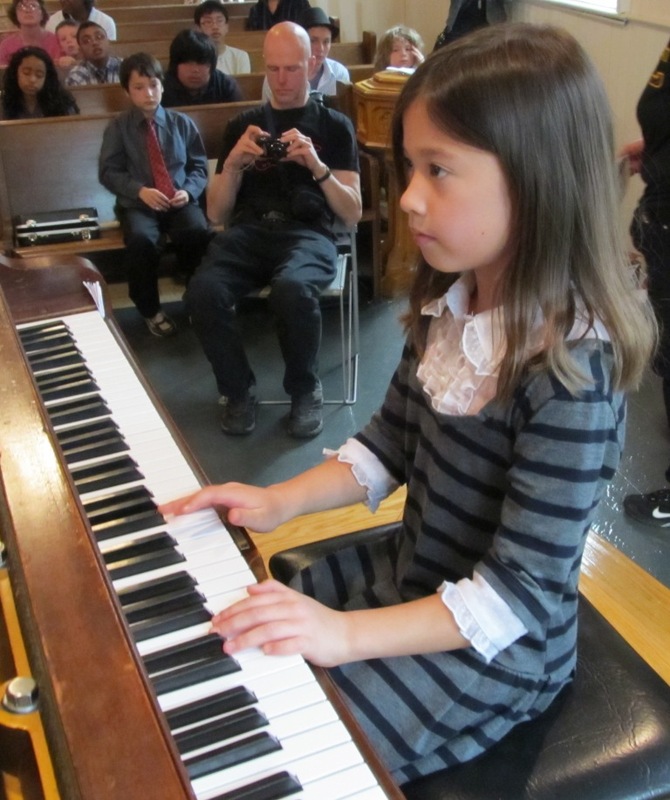 Private instrument lessons are one of the only extra curricular activities that require children to take responsibility on their own at home. With sports you can show up and practice or play a game. Private lessons require self discipline. 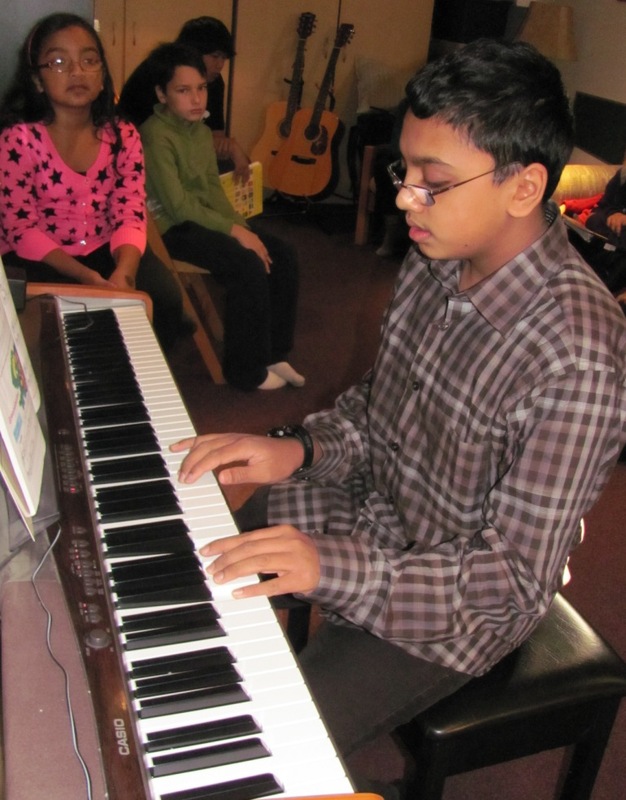 But even if students cannot practice every week, they are still experiencing music making and learning at every lesson. 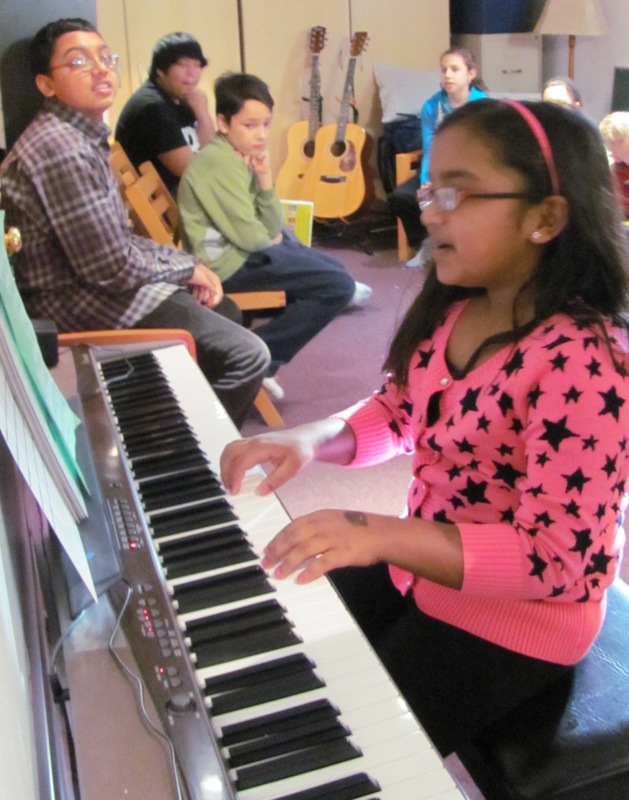 I aim to teach something new and to have a fun music making experience at every lesson. Progress will be made, practice or no practice. My focus is creating opportunities for music making to be a fun activity. However, as with learning any new skill there are times when what we are learning is more difficult. Self-esteem and confidence come from conquering difficulties and reaching goals. Working through an obstacle is a great learning experience. 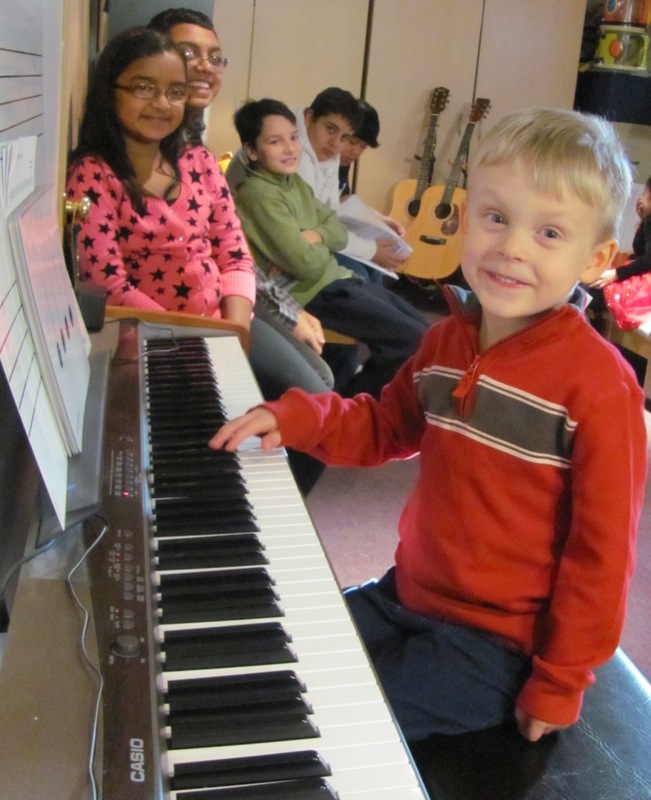 My goal is that my students enjoy the process while gaining an understanding of the fundamentals of music and building on skills so that they can enjoy music life-long and during this process also enhance gross and fine-motor skills, coordination, language development, self-confidence and esteem, creativity, goal setting, team-work, self-discipline, responsibility, time management, problem-solving, and quality of life. 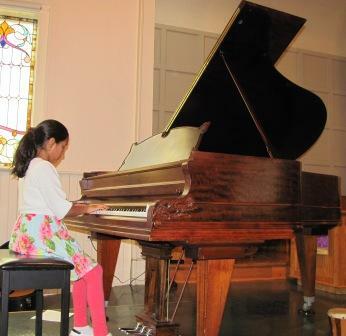 Thank you to all of those who made it out to our December Recital despite the snow. It was a lot of Fun and a great music-making adventure! 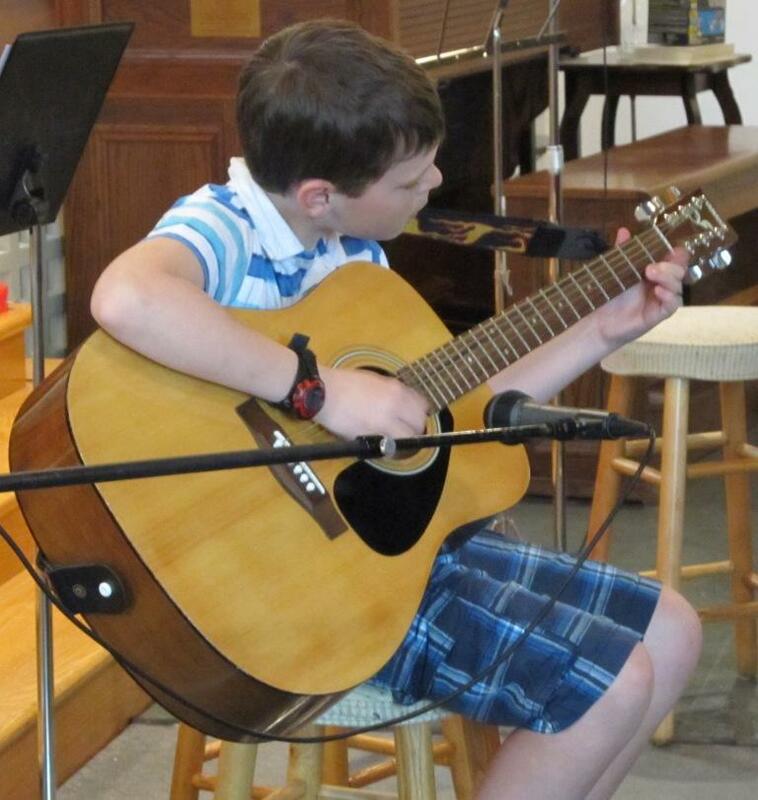 Students shared their musical achievements with family and friends. 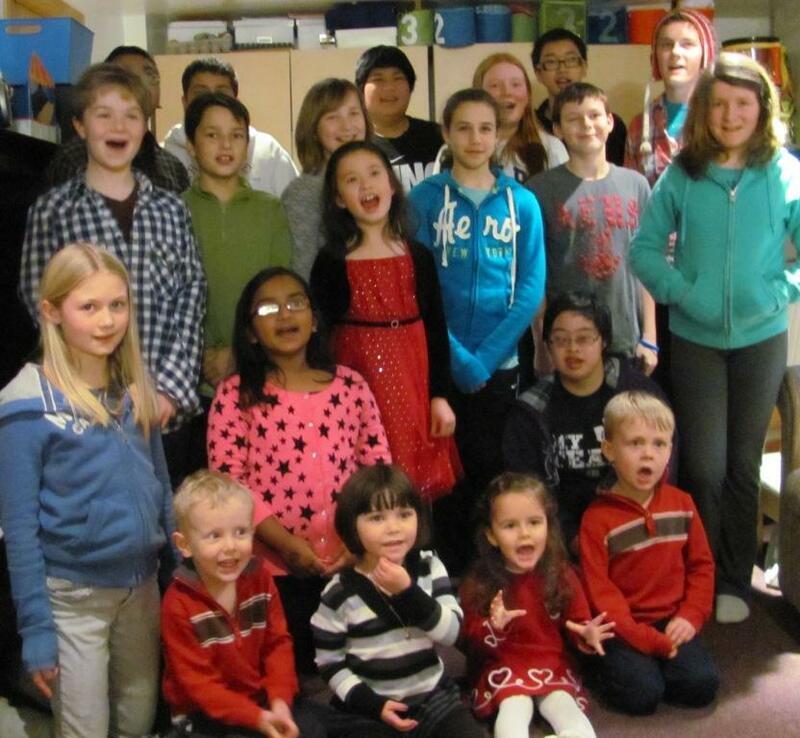 Kathleen, a long time student, entertained some JK and Grade 1 students at Blantyre P.S. 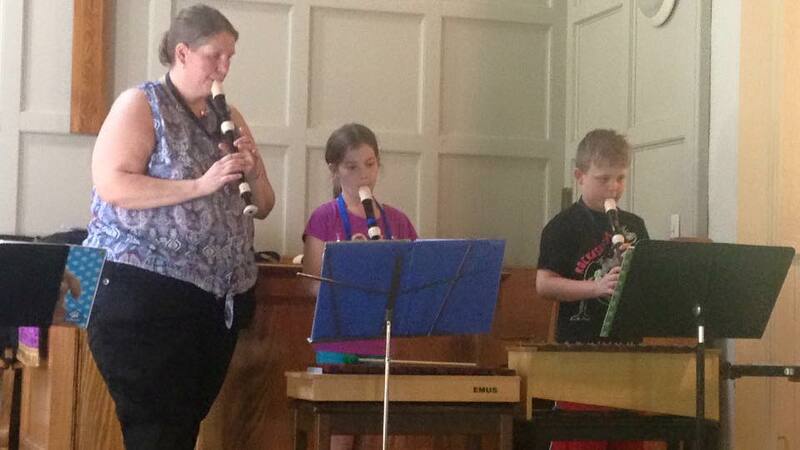 She performed duets with Lisa, on the Recorder, Piano and Guitar. My first Piano Inspiration Larry Gowan! So thrilling to spend an evening once again at the Glenn Gould Studio this time with my family seeing Larry Gowan In Kilt Tonight, a fund raising event for McDermott House Canada for K Wing, (Veterans, First Responders, and general public) of Sunnybrook Hospital. The last time it was in '96 with no Kilt and no kids! 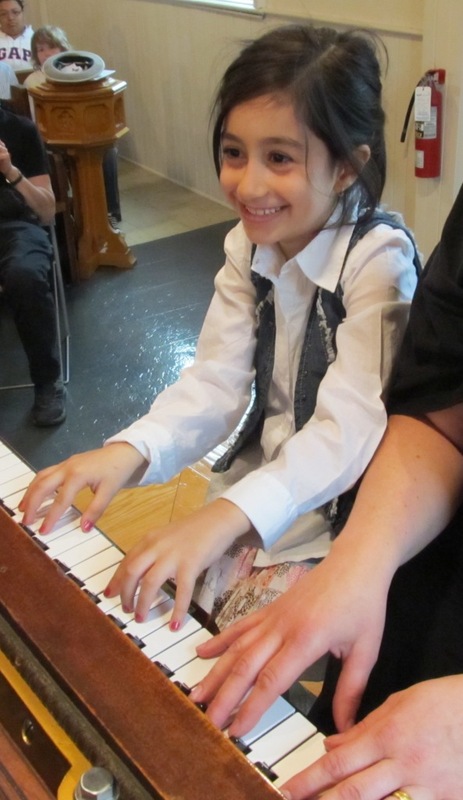 Our 20th Anniversary Concert to benefit BBNC was held in May, 2013. We raised $600 from ticket sales for the Birchmount Bluffs Neighbourhood Centre. 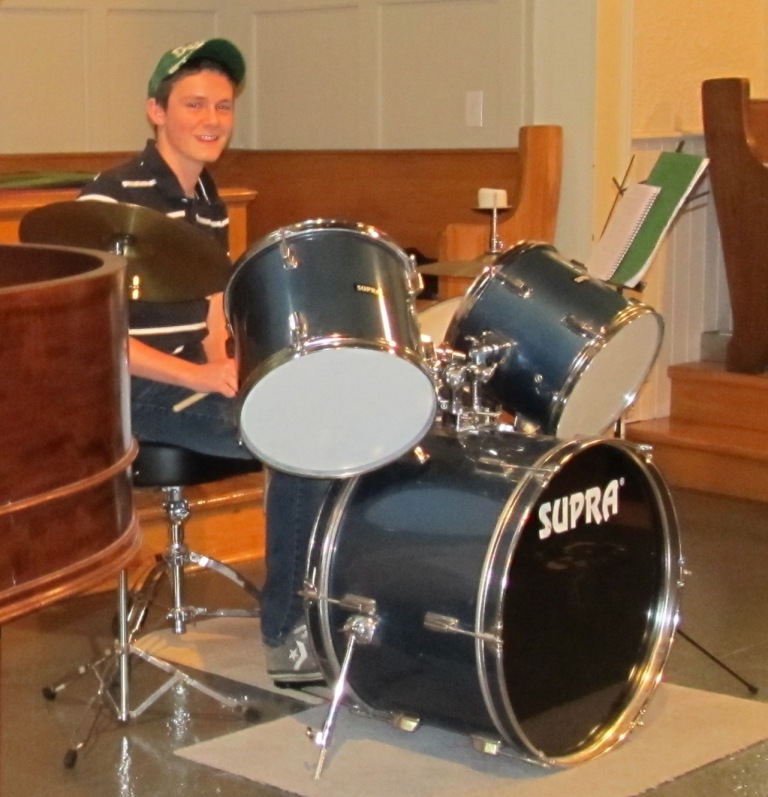 Congratulations to Kevin for receiving First Class Honours with Distinction 97% on his Advanced Theory RCM Exam! 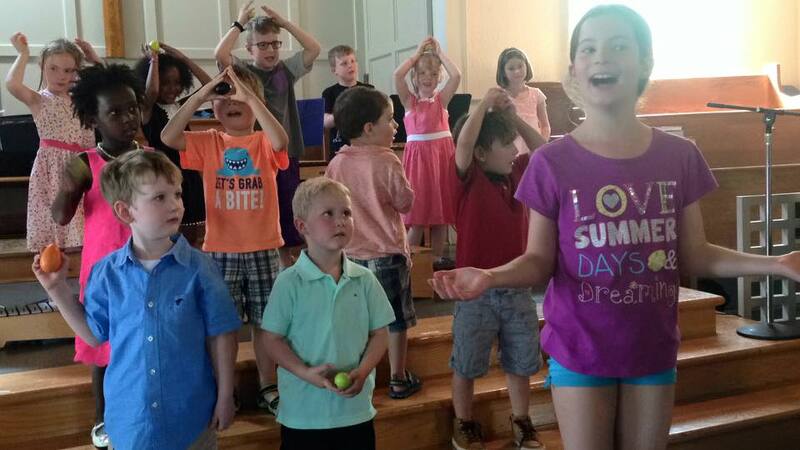 Orff Music for Children is an approach to music education conceived by the German composer Carl Orff (1895-1982). It was developed in the 1920�s and 1930�s and was based on his belief that the easiest method of teaching music is to draw out the students inherent affinities for rhythm and melody and allow these to develop in natural ways. 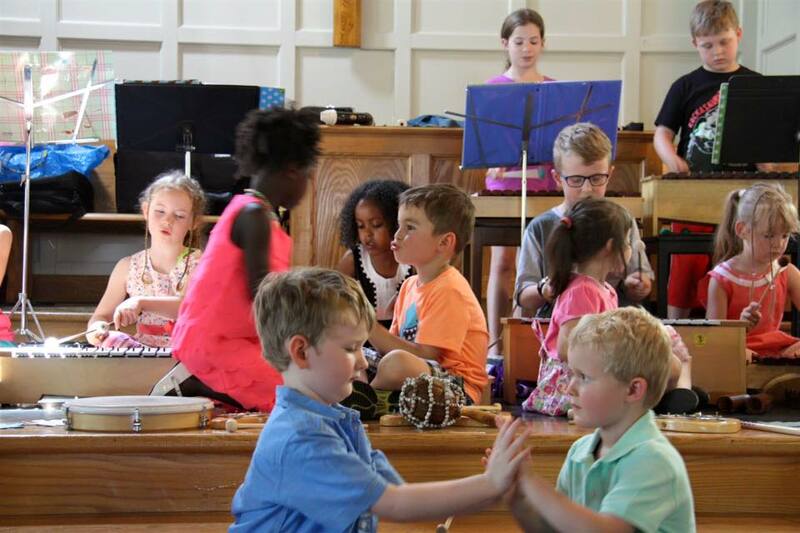 Orff accomplishes this by means of a carefully planned program, beginning with speech patterns, rhythmic movement, and two-note tunes, then moving logically to pentatonic melody. Improvisation is encouraged. Major and minor melody are introduced later. 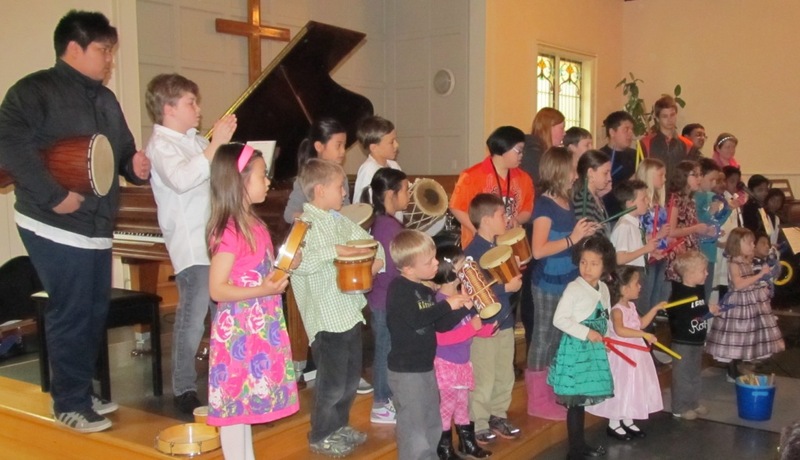 Orff designed a special group of instruments from around the world including glockenspiels, xylophones, drums and other percussion instruments. 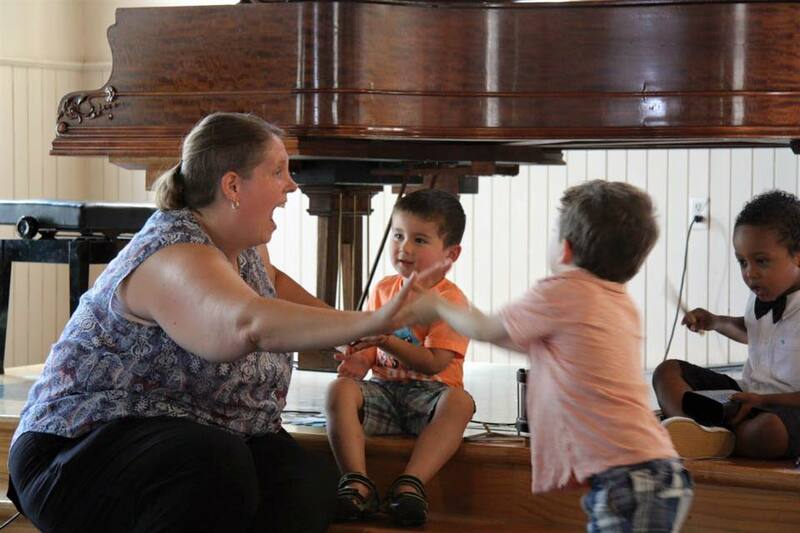 Teacher Lisa M. Jones is an Orff specialist obtaining her Level III Orff Certification at the Royal Conservatory of Music. 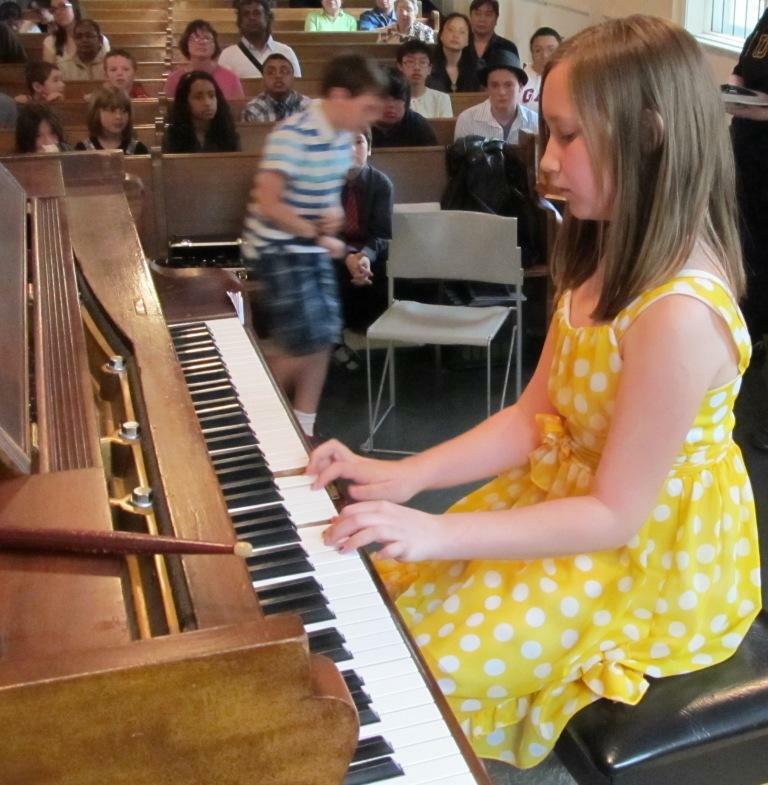 She is also a member of Carl Orff Canada. 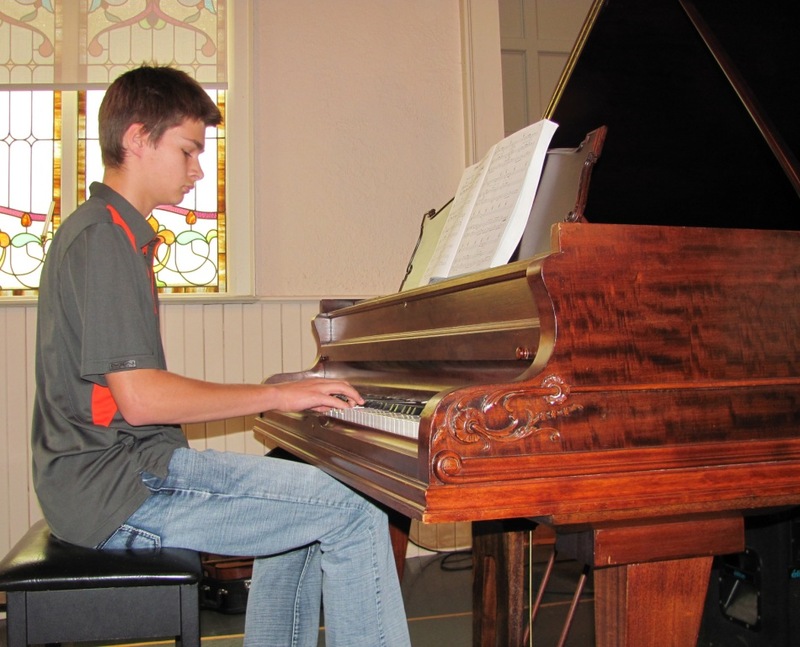 Recitals provide a goal to work towards. 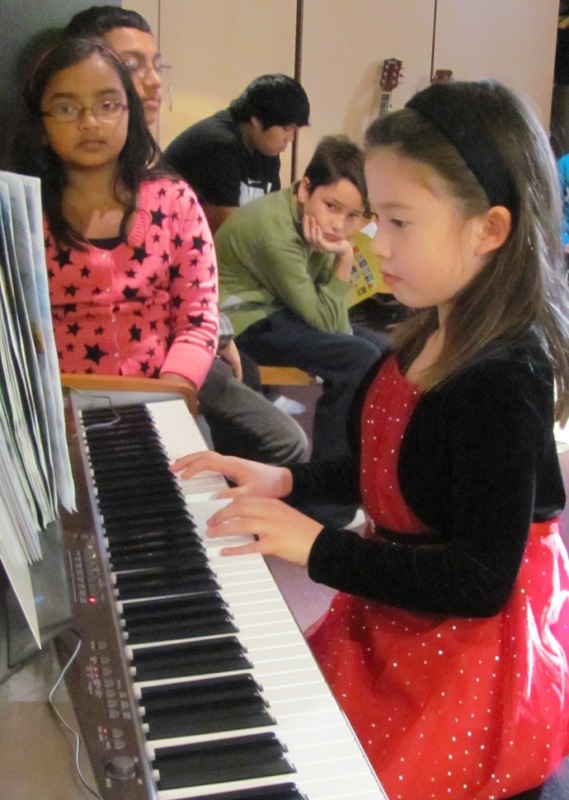 Hearing and observing others perform provides stimulation and learning. 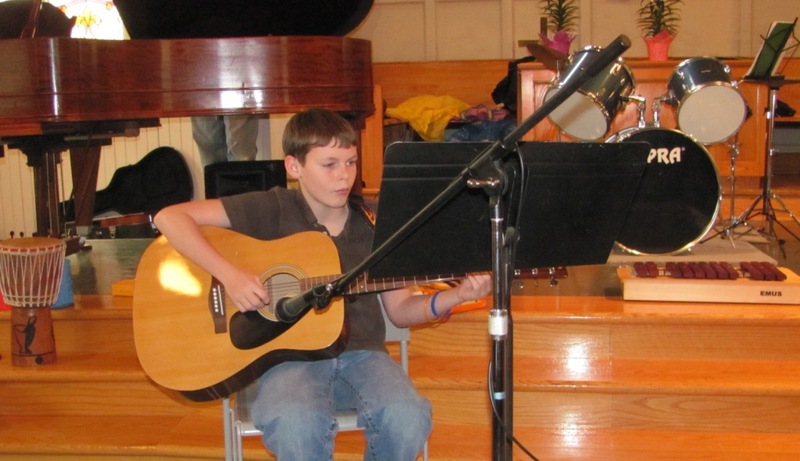 Performing in front of others helps to develop confidence. 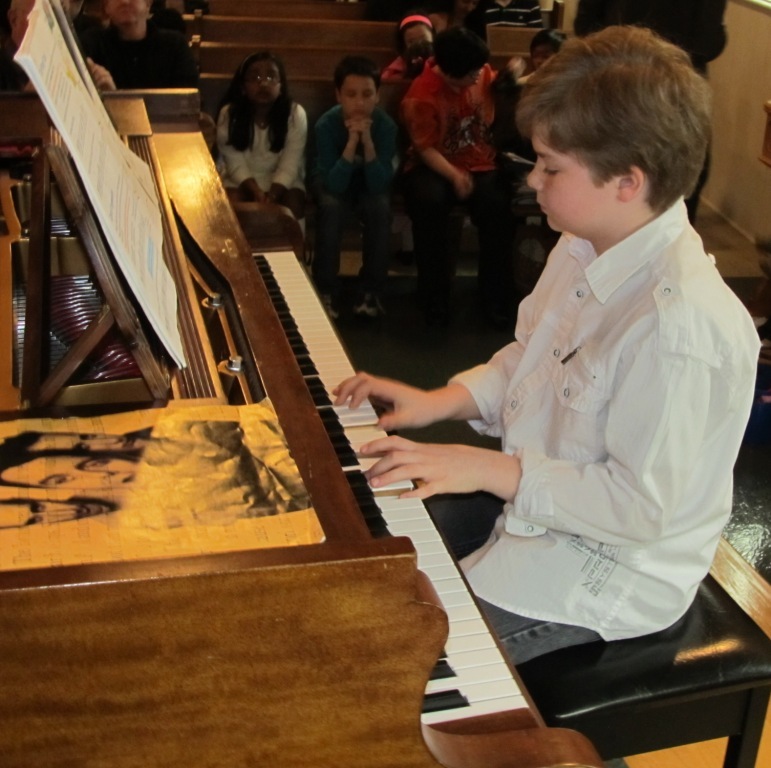 Recitals provide an opportunity for active participation in music making and positive involvement. 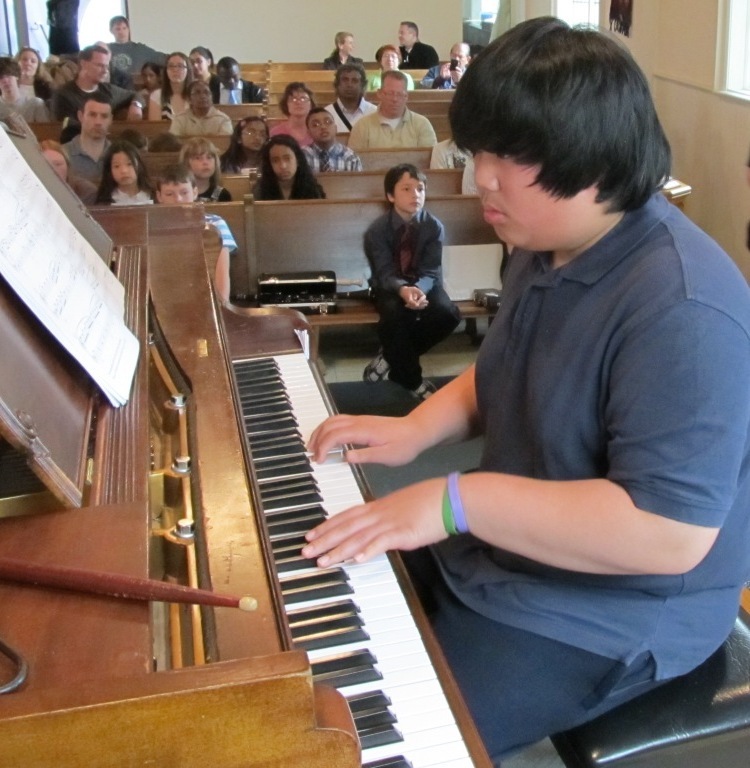 Participating in a Recital helps build responsibility and character. 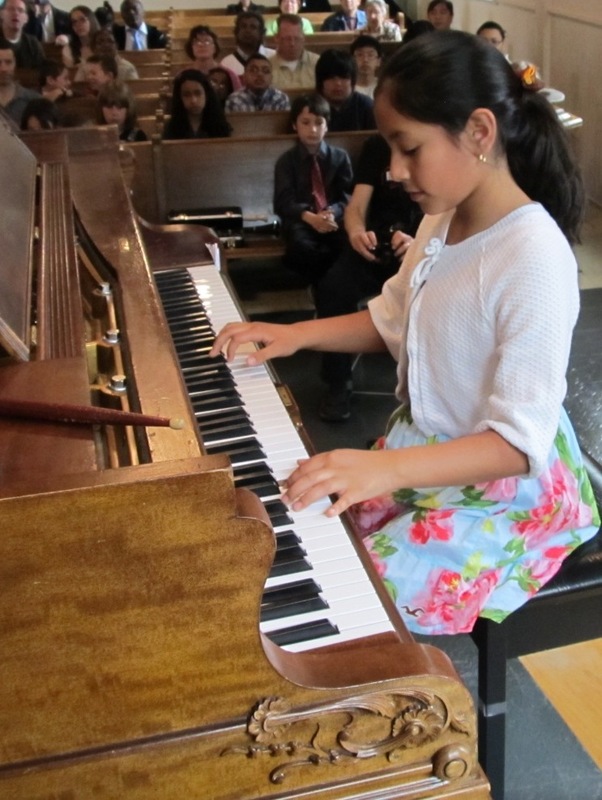 Encourage your child to perform for family and friends. This praises effort and accomplishment. 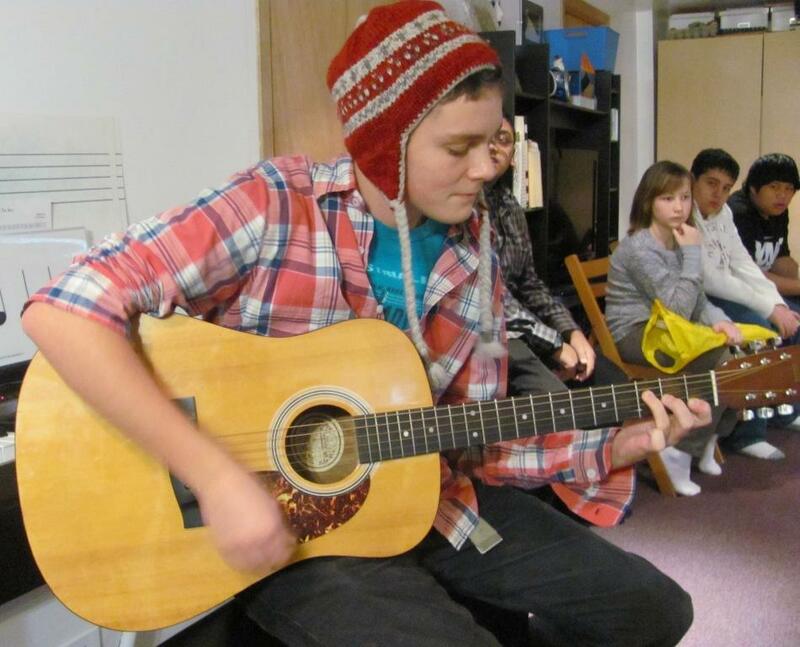 Of course music requires effort, but more importantly it should remain a fun activity. 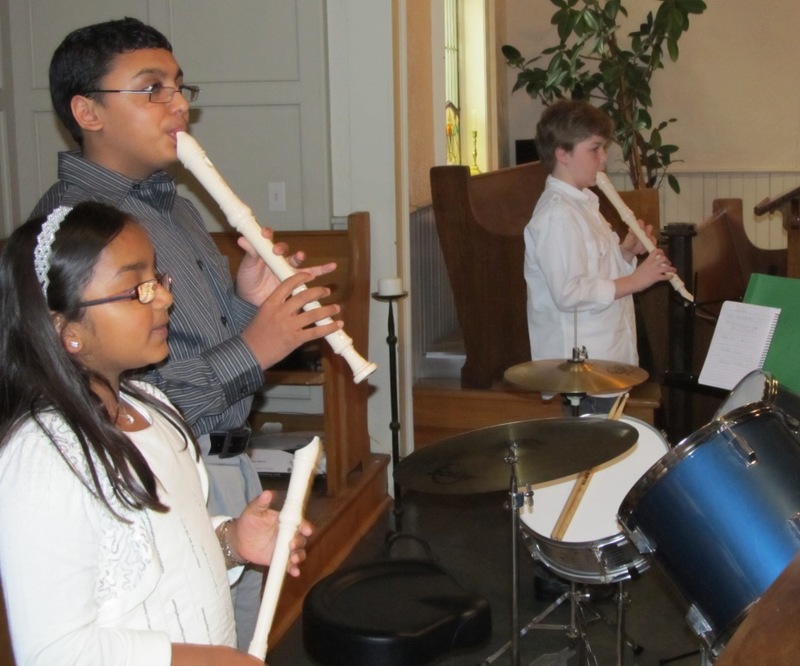 After practice sessions, let your child experiment and improvise on their instrument and on other instruments. Let them play songs that perhaps they have learned before. 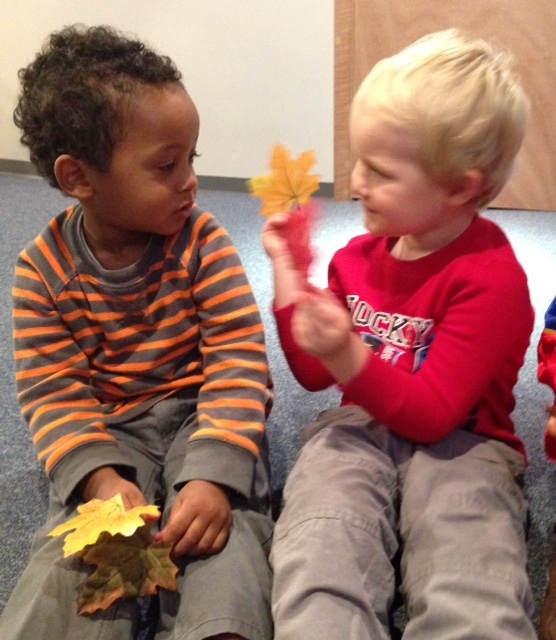 Sometimes a great deal can be learned from this unstructured play time. 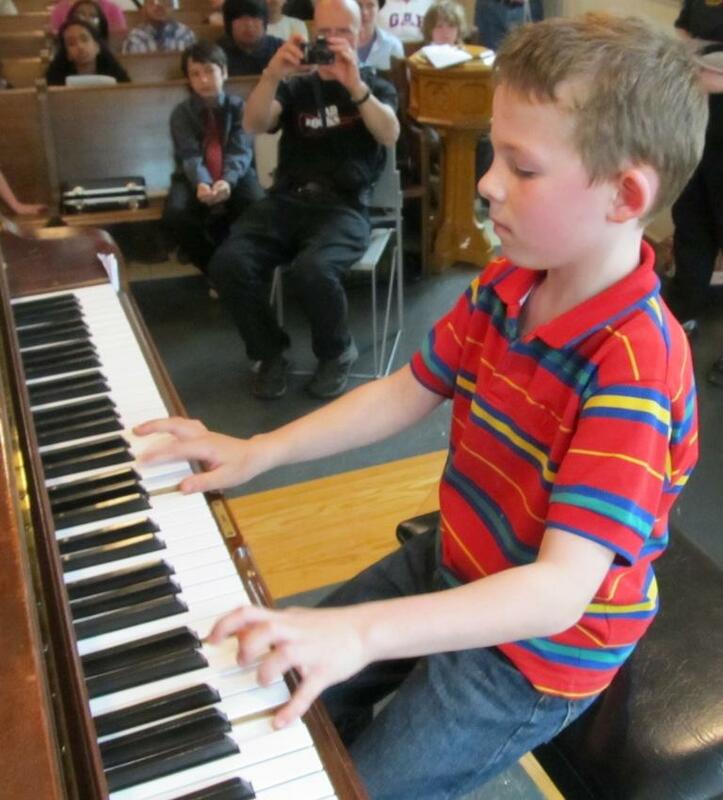 Have you had your Piano tuned recently? If you have an acoustic piano at home, it is very important that it be maintained regularly. Piano's must be tuned on a regular basis to prolong longevity and maintain proper pitch performance. At the minimum, an acoustic piano should be tuned once a year.